I don't know if any of you live in Colorado, but the town I live in (Erie) and the surrounding areas have been plummeted with rain the past few days. In the past 24 hours we've gotten 6 inches of rain! There are roads collapsing, the local high school was flooding and without power last night during their back to school night. So, as a result, we don't have school today! Totally unrelated to the post which I'm going to write, but my kids (who, with a day off from school were up at 4:30) are watching a short cartoon for a morning break so I thought I'd blog. I posted a last month about my "I Have/Who Has?" Instrument Edition and "I Have/Who Has?" 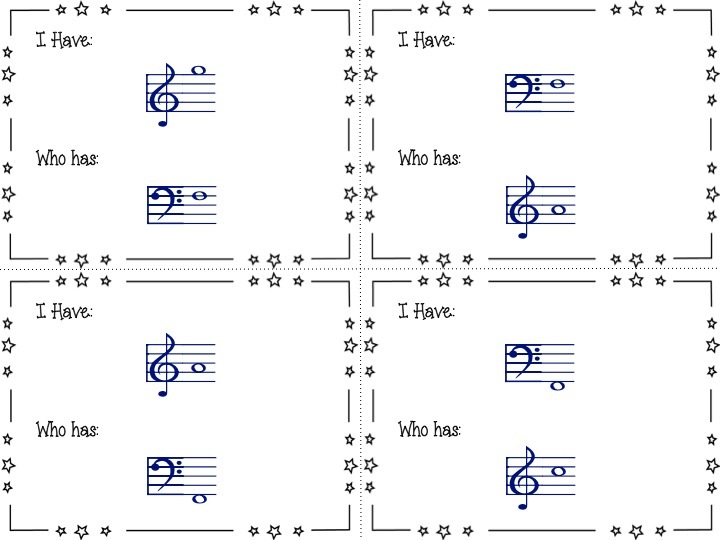 Musical Symbols and Signs Edition. 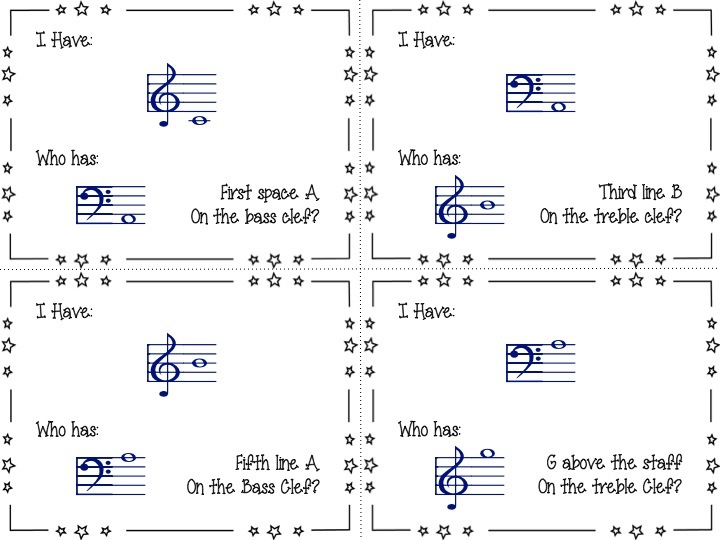 A lot of teachers in my district teach on the rotating keyboard lab and I teach a tone-chime unit. 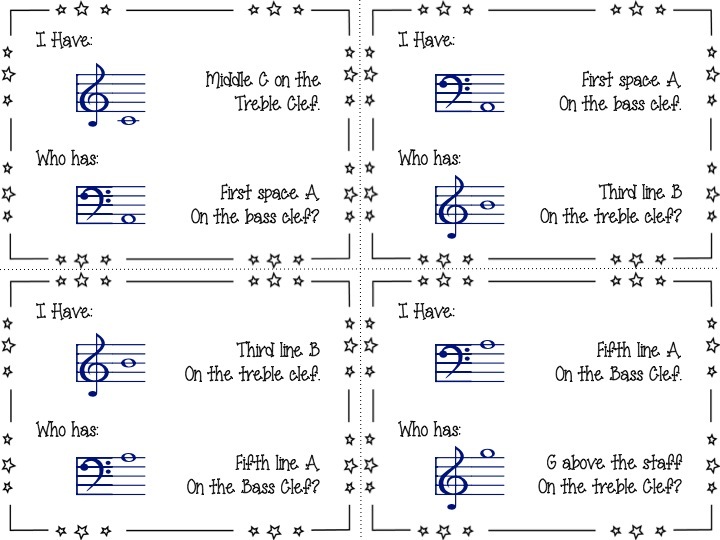 In both of these, the students learn to read off both the Bass and Treble clefs (a.k.a. the Grand Staff). So, I thought this would be a great way to practice those note names! Click here to find this on my Teachers Pay Teachers store.